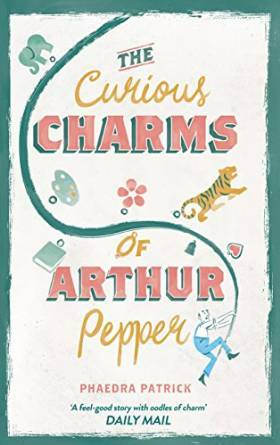 The Curious Charms of Arthur Pepper is one of those perfect books that leave you with a warm glow and puts you in a good mood for the rest of the day. Although it is sometimes poignant and sad, it is also funny and delightful, making it a book I would read again and recommend to friends. I did see something about it being recommended for people who enjoyed Rachel Joyce's The Unlikely Pilgrimage of Harold Fry (me! ), and I can completely see why. Arthur is very like Harold; they both go on a journey where they discover things about themselves on the way and they both have regrets about choosing work over family in the past. Arthur finds a charm bracelet among his wife's things, when he goes through her possessions on the anniversary of her death. He is bemused as he has never seen the charm bracelet before and wonders why his wife hid it from him and what each charm meant. As he looks more closely at the bracelet, he finds a phone number on the bottom of one of the charms. This starts a chain of events that sees Arthur setting off on a journey that will teach him not only about his wife's past, but about himself and his part in her life. Although I would describe this as a light-hearted read, it did leave me with some food for thought. Phaedra Patrick is very good at making you realise how quick we are to jump to conclusions without waiting to find out both sides of the story and also that we sometimes don't see things that are right in front of our eyes. I also thought it was excellent the way that we are reminded that we all have a past, which doesn't mean that we don't love people in our present more than we can possibly say...and often don't say enough. I was utterly charmed by this book; I started and finished it in the same day. It is rare that I can't put down a non-thriller book, but once I'd started this journey with Arthur I had to continue reading until I got to the end. 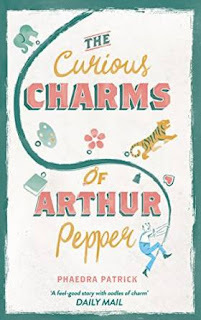 I had tears in my eyes and a smile on my face at the end - The Curious Charms of Arthur Pepper is a beautiful story about love, family and friendship. It's a warm hug of a book and I wouldn't hesitate to recommend it. 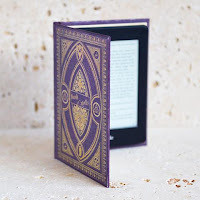 I received this e-book from the publisher, Harlequin, via NetGalley in exchange for an honest review.